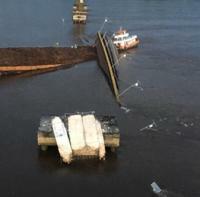 Public authorities in the Brazilian state of Pará have launched an inquiry after a 200m-long section of a bridge fell into the River Moju after being hit by a boat. The Chilean government has announced that a permanent repair plan is now in place for the Cau Cau Bridge. 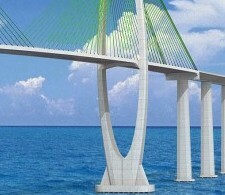 The governor of the Brazilian state of Bahia has signed an agreement for construction of a 12.4km bridge to the island of Itaparica. New contract supports the country's transportation infrastructure expansion. 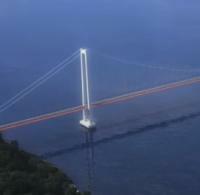 An environmental impact study for a 1,780m bridge over the River Uruguay is to be presented to the public this month. Governor of Brazil's Bahia province, Rui Costa, met with representatives of China Road & Bridge Corporation this week to sign a memorandum of understanding for the construction of the Salvador-Itaparica bridge. An 11-member team from Parsons has worked with non-profits Bridges to Prosperity (B2P) and Puentes de la Esperanza to build a 58m-long footbridge in Colombia.